‘FAN N STAR’ Birthday supports of Yun Ji Sung is held. What’s the gift from the fans? 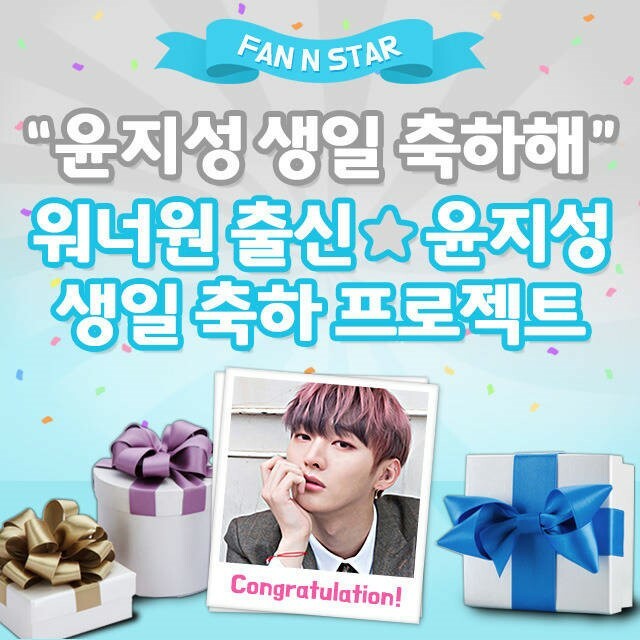 [The Fact] An idol weekly website “FAN N STAR” operate by The Fact, has opened a support to celebrate Yoon Ji Sung's birthday from Wanna One. "FAN N STAR" started Yoon Ji Sung's birthday support on last 8th, Fans are already rushing to participate in the electronic signboard supporting him on this coming March 8th. Yoon Ji Sung's support, operate by "FAN N STAR," will show a congratulatory video on electronic display board in 43 subway stations of Seoul Subway Line 2 when it reaches 100,000 stars. Yoon Ji Sung will hold a solo fan meeting "2019 Yoon Ji Sung 1st FAN MEETING: Aside in Seoul" at the I-market Hall in Interpark, Starting with the Seoul fan meeting, he will tour eight cities in seven countries including Macau on March 2, Taiwan on March 9, Singapore on the 15th, Malaysia on the 17th, Tokyo on the 19th, Osaka on the 21st, and Bangkok on the 23rd.